It must be frustrating for the people who work on the Xbox One, to have turned one of the worst-pitched gaming consoles ever into a machine that’s in several ways better than its competition. Lately, Microsoft has done so many things well. They’ve improved their box in so many ways. 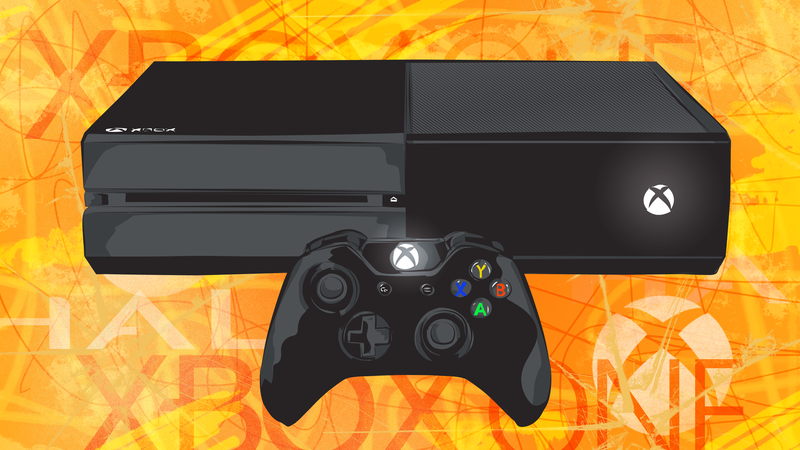 Surely they ask: Will you not love the Xbox One, already? They are trying so hard. Say you bought an Xbox One at the start of 2015 thinking, this console is okay, I guess. Then earlier this year, you find out that the machine you’ve got is one day just going to start being backwards compatible with an expanding list of games from the Xbox 360. That’s better than ok! Microsoft has this “free” game thing going where $60/year Xbox Live Gold subscribers get two free games a month. Not bad. Then, with that backwards compatibility magic accomplished, they promise that they’ll toss in two Xbox 360 games every month that will work on your Xbox One, too. They grab the next Tomb Raider, which is made available first on Xbox consoles and turns out to be a good game. They tap the top Metroid Prime guys to make a game for them. They stop talking about Kinect. They stop talking about TV, and sports.. They apologize for the messy launch of their collection of Halo games by tossing in another Halo game at no extra charge. They put out Rare Replay, the best compilation of high-quality video games -since The Orange Box. It includes some of the best games for the Nintendo 64, games you can’t even get on Nintendo’s Virtual Console. 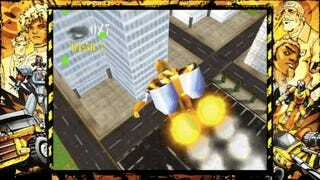 Blast Corps, people! The Xbox people do a deal with EA for another paid subscription service—no one said they aren’t trying to get your money from you!—and, lo and behold, they get you access to one of the fall’s big games, Star Wars Battlefront, a week before it’s officially out. They add a headphone jack to their controllers so that you wouldn’t have to use proprietary connectors. They don’t suddenly make it easy to swap the increasingly limiting internal 500GB drives that hold all those games that everyone loves having to install, but they start selling units with 1TB drives (and support the addition of external hard drives). They produce an extra configurable “elite” version of their controller. It costs $150, sure, but if you’re into that kind of thing, it’s a damn good controller. They re-do their console’s user-interface so that it’s faster. And add the option to remap every controller button and zoom in on text so to make their console work better for more disabled players. Microsoft did all of that in 2015 and nevertheless find themselves with the less buzzed-about of the biggest two consoles. Some of that buzz is literally theater. Sony now holds annual fan expos and hits the nostalgia button by hosting crowdfunding announcements for games like Shenmue 3 and Psychonauts 2, or by bringing guys from Square Enix on stage to show off an eye-watering remake of the original PlayStation classic Final Fantasy VII. Xbox One fans are left hoping that Major Nelson will Tweet something cool. Sony’s been skipping around this year, barely releasing major new exclusives and enjoying all the positive word of mouth from beating the Xbox One out of the gate while coming out ahead in the quasi-perceptible graphics resolution debate. It’s enough to make you think you screwed up if you chose to buy an Xbox One instead of a PS4, but actually, no, you did just fine. Getting an Xbox One got you a console that now plays Destiny: The Taken King, Metal Gear Solid V, The Witcher 3, Assassin’s Creed Syndicate, and Fallout 4. You could’ve gotten a PC or PS4 for that, but you’d have missed Halo 5’s great new Warzones mode, last fall’s terrific Sunset Overdrive, the superb Rare Replay collection and that whole Xbox 360 backwards compatibility thing. Microsoft’s marketing hype for this fall’s Xbox One line-up said that it was their best holiday line-up ever. Maybe. The Xbox One holiday line-up sure was better than Sony’s and Nintendo’s, abetted by the fact that those two platform holders wound up testing what’d happen if they had a November without a major exclusive between them. Microsoft’s problem might be the creeping sense that all their big franchises are heading into that tired Guitar Hero: Van Halen phase where they need some time off. Who’s excited for the annual Forza release? Was Gears of War gone long enough for you to be excited about the original Gears’ HD remake? Then there’s Halo 5, a game with some interesting and fun multiplayer modes, but where the most heavily advertised part—the campaign—was a bland drag. If Halo isn’t going into Tony Hawk Pro Skater territory, it at least feels like it is going into Zelda territory, turning into a franchise that still pleases the faithful but rarely makes the have-nots jealous. Moving into 2016, the Xbox One will finally have a new game from the makers of Alan Wake, will have a brand new Gears of War, a Crackdown, may get an as yet un-dated pirate game from Rare, a dragon game from the Bayonetta people, and maybe they’ll even finally release that multiplayer Fable game that’s been in beta for a while. They’ve got some minor issues that still need solving, too. The console’s video capture options, for example, are still too convoluted and low-quality. Backwards-compatible 360 games are still not listed for purchase directly in the Xbox One’s store. This stuff seems solvable. The State of the Xbox One in 2015 is that it is an aggressive contender constantly swinging at Sony. Those paying attention will notice it is scoring plenty of hits, too, and is likely to land more in 2016. It’s a very good console and has been for some time.